Wyoming Statute 39-13-103 directs that all property will be listed, valued and assessed as of January 1 of each year. Assessment Schedules must be mailed to all property owners on or before the fourth Monday of April. 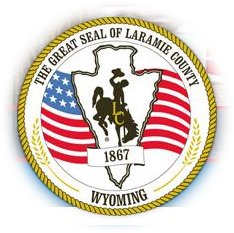 In 2019 Laramie County schedules were mailed March 27th, 2019. The Assessment Schedules mailed by the Assessor's Office contain the legal description of the property, the estimated fair market value and the assessed value. When the property owner receives the assessment schedule it should be opened immediately and reviewed. Particular attention should be paid to the Fair Value. Does it represent what the property would have been worth if sold on January 1, 2019? If the value is within reason and no other errors are noted on the assessment schedule, further action is not required. However, if you disagree with the value, come in to the Assessor's Office as soon as possible to initiate the review process. For the 2018 assessment period the last day appeals can be made is April 26, 2019. The process is divided into Review and Formal Appeal. When the property owner comes into the office, the Property Record Card is reviewed and all property characteristic information is checked for accuracy. This includes square foot size, construction, finished area, out buildings, etc. Any changes may affect the final market value. A "Request for Property Review Only" form should be completed and signed by the property owner. If this form is not completed by the owner/representative, the visit will be considered an informal contact and changes in the property/assessment will not be initiated. The owner must provide an action desired such as their estimate of value as of January 1, 2019. Statements of "it's too high" or "it's wrong" are vague and not definable. Upon completion of the review the property owner will receive by mail: An amended schedule reflecting updated market value and estimated 2019 tax amount, or, notification that no changes have been made, advising them of their option to continue a formal appeal if so desired. The County Commissioners serve as the County Board of Equalization . Other persons attending the hearing will include the hearing officer, recording secretary, secretary to the board, counsel for the board, parties to the appeal. The Board will notify participants in writing of their findings and any appeal action available to them no later than October 1st.